Elmer’s glue dries fairly quickly and can leave a sticky mess in hair. Usually, glue ends up in hair by accident, although some people have used Elmer’s school glue as an alternative for hair gel, especially for hair styles requiring strong hold (such as a Mohawk). The glue is water soluble, which means you shouldn’t need special chemical products to remove it from your hair. It will take more time than a normal shampooing, however, so you will need to be patient. Wet hair in warm water. Saturate it with hair conditioner. Work it into the area where the glue is and leave the conditioner in the hair for several minutes. 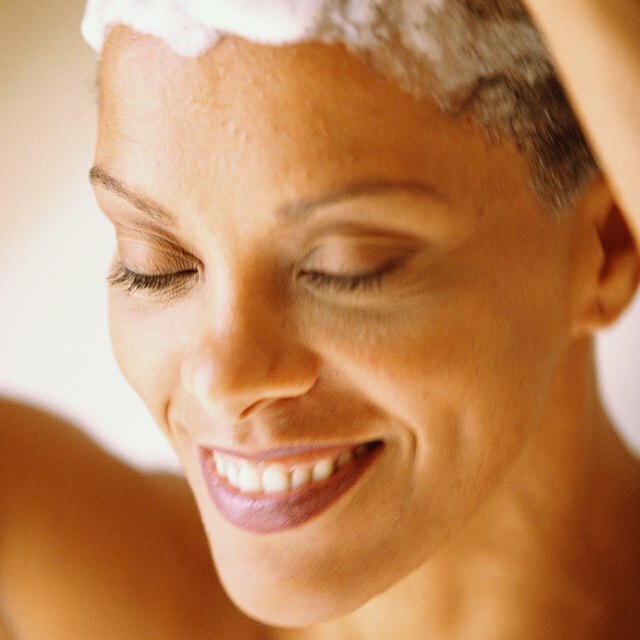 Conditioner will help to loosen the glue from the hair so it is easier to comb out. Use a wide-tooth comb to gently work some of the glue out, and separate hair strands. Rinse glue from the comb and add more conditioner to the hair, working it in with your fingers. Leave it on for 5 minutes. Use a smaller-tooth comb (graduate from a wide-tooth, to a medium-tooth, to a fine-tooth comb, for best results) to comb out more of the glue. Rinse the hair in warm water and check the results. If, after combing through again, you notice glue remaining, re-apply conditioner and comb through again as before until all glue is gone. Instead of hair conditioner, you can also try baby oil, as suggested by hair.becomegorgeous.com for removing hair extension glue. Take your time doing this; tugging hard at hair can damage it. How Do You Get Gum Out of Hair?